Located on the quiet Harav Kook Street in downtown Jerusalem, this elegant boutique hotel offers a variety of rooms, including suites, family rooms and studios. Harav Kook is a quiet street off of the central Jaffa Street in downtown Jerusalem. 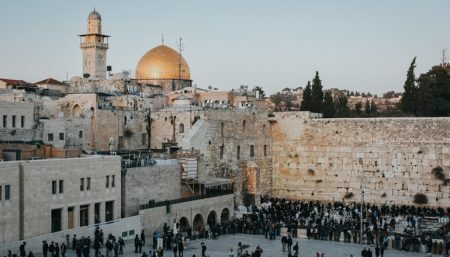 The hotel is only 10-15 minutes walk from the Old City and Mahane Yehuda, and the many shops, restaurants, bars and cafes of the city center, as well as a main light rail stop, are just outside the door. Great locations less then 10 minute walk to Old City, close to markets and street cars. Rooms are very nice, clean and the staff was extremely helpful and courteous. I would highly recommend this hotel. Our family (2 adults and 2 adult children) stayed in a 2/3 bedroom apartment during our December holiday. Whilst the place is still new, the apartment was already in need of attention - door locks broken, lights and switches not working, terrible bathrooms with mould and almost impossible to shower without flooding the rooms. The noise was incredible and even with the shutters fastened, the noise was amazing loud. The owner was nice and the place was perfectly located but if this is luxury in Jerusalem, then be prepared for your expectations to be crushed! Quiet, clean and inexpensive stay in Jerusalem.Off Jaffa road but quiet and very convenient for sightseeing in Jerusalem. Helpful staff.Ask for a room with a balcony which is nice for smokers or for a snack.The hotel is located in a new building complex and takes up two floors.The only downside is that it has no kitchen and doesn't serve any meal but nearby coffeeshops and restaurants abound.Good deal for a good price.Tacky decor, but it's a matter of taste!